I was delighted to be asked to attend a photo shoot for The Other Art Fair #TOAF media campaign for the October fair at the Truman Brewery. Fellow artist and exhibitor Louise Aldridge and I went along to a studio in the East End of London and were shot by photographer Clare Hewitt. 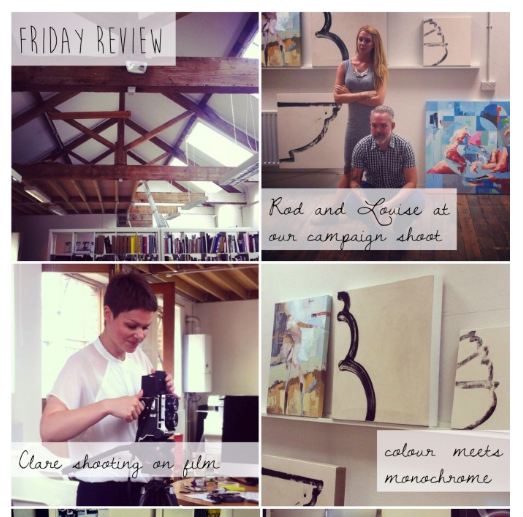 The ‘behind the scenes’ shots can be seen on the #TOAF blog and will start to be appearing in print, digital and advertising spaces over the coming weeks…. watch this space. A competition will be run for those who spot them first and where they are spotted! Prizes to be confirmed.